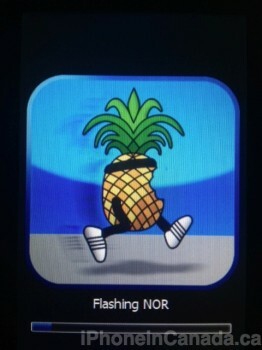 The following is an updated tutorial to assist you in achieving an untethered iOS 5.0.1 jailbreak for your iPhone, iPad, and iPod touch using redsn0w 0.9.10b3. 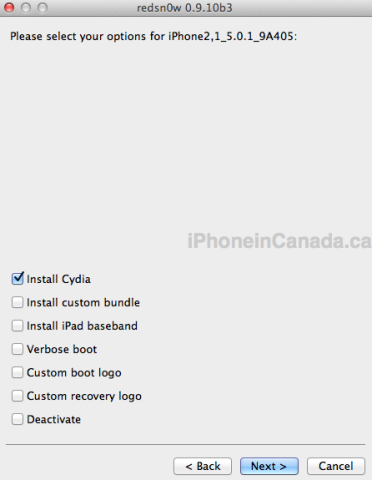 The untethered jailbreak is currently for non-A5 devices only (will not work with iPhone 4S or iPad 2). Warning: do not proceed if you’re unsure about what you’re doing. Follow the guide at your own risk. Should I use PwnageTool or redsn0w to jailbreak? 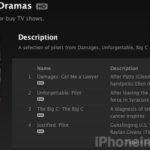 PwnageTool enables you to create a custom IPSW to update to iOS 5.0.1 in iTunes, so you can preserve your baseband. This is important if you use ultrasn0w to unlock your phone. The latest version of redsn0w now includes options for creating a custom IPSW in the ‘Extras’ menu. If redsn0w doesn’t work, try PwnageTool to jailbreak instead. Before we begin: sync/backup your data via iCloud or in iTunes. Step 1: Download redsn0w 0.9.10b3 and save it to your desktop. 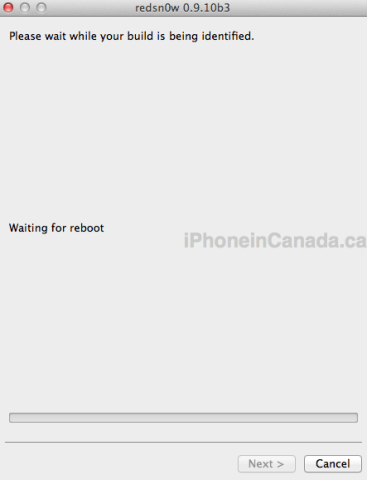 Step 2: If you’re not on iOS 5.0.1, restore or update to the latest iOS in iTunes. 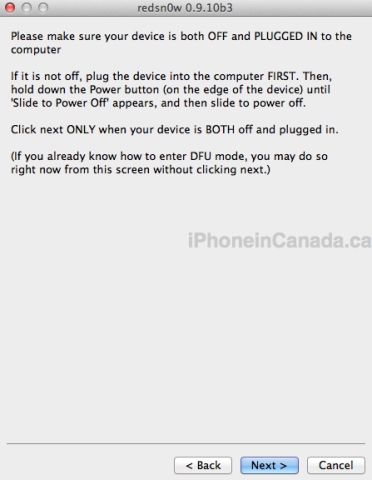 If you’re already on iOS 5.0.1, skip this step. 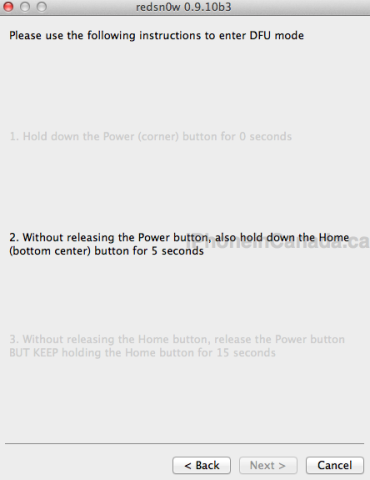 Step 5: Follow the instructions for DFU mode, as it counts down the seconds for you. If you fail, start the process again. Step 7: redsn0w will now work its magic and jailbreak your iPhone. You’ll see a black screen with lots of tiny white text on your iPhone. Just let it complete. Step 8. When complete, you should see Cydia on your Homescreen. Voila! If you run into iBooks not loading, follow these steps on how to fix it. Let me know how this tutorial works for you!